As OpenSim grows bigger and bigger, some grids might think that an easy way to gain customers would be to bash other grids. Now, I’m all in favor of competition and yes, drama, since that brings in readers which means more people learn about OpenSim in general, which means that the platform keeps growing. But there are two kinds of competition, and the bad kind actually hurts the grids who are doing it, in addition to driving users away from the platform as a whole. Here’s how to do competition right. Let say that you notice — to pick a random example — that InWorldz has a lot of users. You, you greedy grid you, you want some of those users. So you start bashing InWorldz. What happens? InWorldz residents get really pissed at you. They’re on InWorldz because they love it there. If they didn’t like that grid, they wouldn’t stay. They’d have left for one of the 200-plus other grids. Now say you come out and say some nice things about InWorldz, instead. Now all those residents are paying attention — because you’re agreeing with something they believe in. They’ll be more likely to believe the next thing you tell them, such as, say, that you’re having a fun party on Saturday night. Or a must-see fashion show. Everybody has a grid that’s best for them. There’s no argument you can possibly make that will convince people to abandon their homes, their friends, their stuff, and the grid they love in order to come to your grid. People can tell which grid suits them and which one doesn’t. It’s like favorite foods or colors. You can’t argue about stuff like that. But … there is something you can do: you can market people into trying something new. OpenSim folks love to explore. If you have something fun to offer, they might stop by and check it out — out of curiosity if nothing else. And they might make friends. And get stuff. And, eventually, come to see your grid as their home, and get some land and settle in. But you can’t force it. Have you tried to force someone to like a food? You can’t do it. All you parents out there are saying — right on! But you can let people try a bit of yours, then try it again, and — on average, after 10 to 15 tastes — they’ll have a acquired a taste for it. Sure, some people will like something new the first time they try it, but most will need quite a few tries. This is similar to the “rule of seven” of sales — an average customer will need seven points of contact before they buy. That means they’ll say “no” six times before they say “yes.” If you try to bully someone into saying “yes” the first time, when they’re not ready, their sales resistance will kick in and they might walk away forever. All you can do is make sure your potential customers have lots of opportunities to see your grid in its best light. Deciding whether your grid is a good fit for them, that’s something totally up to them. AviWorlds came back from its most recent near-death experience with the help of SkyLife Grid. Kitely recently donated $250 to help OSgrid recover from its outage. You never know ahead of time who’s going to stretch out a helping hand. Plus, other grids are your potential partners for events, for fundraisers, for tours, for hunts. An event happening on several grids will attract a lot more attention than an event happening on just one grid, and will encourage traffic between the participating grids. Not to mention inbound traffic from the general hypergrid community. Say you’re having a fashion show, and designers from five different grids are coming. That will be a much bigger draw than one with just your local designers. 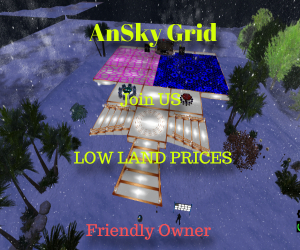 It helps to be friends with other grid owners to get these kind of events going, and to promote them effectively across all the participating grids. That grid that you’re feeling the most competitive with? That’s probably also the same grid that would make the best partner. So don’t bite that hand. It might be feeding you soon. Points 1, 2 and 3 above don’t mean that you have to roll over and be a lapdog while other grids walk all over you. Go ahead and compete — but compete on the high ground, not in the muck. Compete on having cool new features. Compete on having excellent service. Compete on having must-visit builds. Compete on having the best events. And you get way more bang for your buck this way. Say you’re focusing your marketing on saying that some competitor has bad support. Sure, some of their potential customers might see that, and come to you instead. Or they might go to any of the other grids out there. There’s only so much attention your potential customers have to spend on you. You’re wasting it by pointing out shortcomings of other grids. You’re only getting a small percentage of the potential results. By pointing out stuff that you do well, instead, you’re maximizing the impact because the obvious reaction if folks believe you is to check out your grid, not any of the others. You’re getting 100 percent of the potential results. If you are running the only zombie-themed grid out there, and somebody else opens up a zombie themed grid, that’s not a bad thing. It means that there’s a viable market of zombie lovers out there. It shows that zombies are in. And it gives your customers a choice. Think of it this way. You and your friends are going out to dinner and are choosing between two equidistant towns. One has one restaurant in it. The other has ten. You’re more likely to go to the town that has the ten restaurants. In fact, that’s why some types of businesses tend to cluster together near their competitors — it actually increases business for all of them. Competition attracts merchants. Makers of zombie avatars and accessories will know that there’s a market for their stuff on OpenSim. Competition attracts event organizers. They can do their event on the larger grid, or pick the smaller grid in return for better support from the owners. Most of all, it means that dissatisfied zombie-loving users will stay in OpenSim — if they’re unhappy with one of the zombie grids, they can just go to the other. Which means that they can come back again much more easily than if they found a completely different, non-OpenSim outlet for their zombie addiction. Which reminds me — why don’t we have any zombie grids? I want a zombie grid! 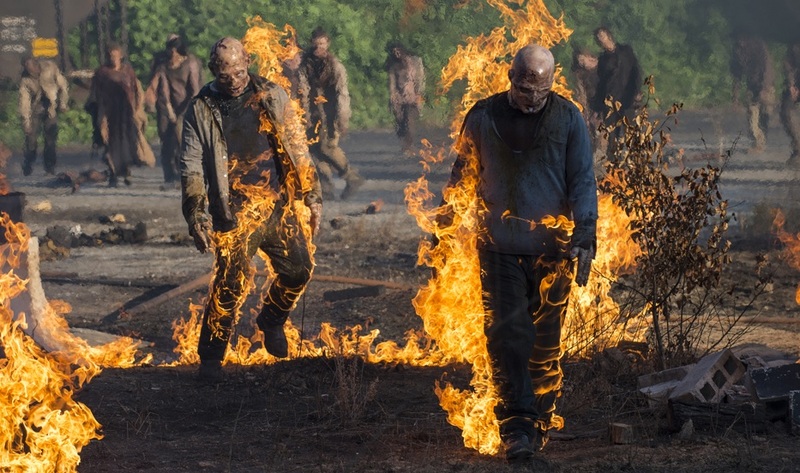 If you are, say, starting a zombie grid, where are you going to look for users? On other OpenSim grids? Sure, there might be a handful of zombie fans out there. Or you could go to the thousands — millions? — of other types online communities that that specifically focus on zombies, who would love to be part of a zombie-themed world that they help create. Partner up with some of those communities. Give free land to some of their most influential members, so that they can evangelize to all their friends. Take them by the hand and walk them through the initial setup process. Post tutorials and how-to videos for those communities to learn from. There are millions of people out there who could benefit from OpenSim and enjoy it, if they only knew about it. By not reaching out to them, you’re actually doing harm to these people, since they’re stuck in their boring, drab, non-OpenSim lives. Plus, you’re leaving them out of the opportunity to get a headstart on the metaverse. They could have become famous zombie accessory creators and become millionaires when the Oculus Rift and similar devices finally hit the consumer market. The window of opportunity for early entrants is about to start shrinking quickly. By not telling folks about OpenSim, you’re denying them the opportunity to learn the technology early enough to become one of the initial winners. Don’t forget — OpenSim is currently the only platform that supports the Oculus Rift, that allows user-created content, that has over 150 grids people can travel to via the hypergrid without having to create new accounts, that has multiple vendors competing to drive down hosting prices, that has marketplaces full of content ready to go, and even compete regions files ready to be uploaded to new grids. Plus, you can run a virtual world at home, or on your own servers, completely for free. Say you’re running ads and articles and tutorials on all the zombie-loving communities on the Web. People hear about your grid, do some research, and find out that there are several zombie grids. As per point number 5, this will make them more likely to try out your grid. After all, if they download the viewer, and log into your grid, and learn how to use the controls, and then find out that they don’t like it — all their effort isn’t wasted. They can visit the other grids and see if they like them better. Plan ahead for this and use it to your advantage. Team up with the other grids to reach out to the online communities. Make it clear that OpenSim is where the zombie action is. And if you’re one of the grids sitting out on the sidelines, don’t get mad that these grids are running successful campaigns. 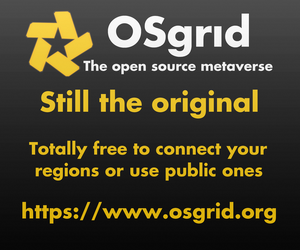 Because a new user to any OpenSim grid is a new user, potentially, for all OpenSim grids. Once they have a viewer, once they’ve learned how to get around, people will start visiting other grids. 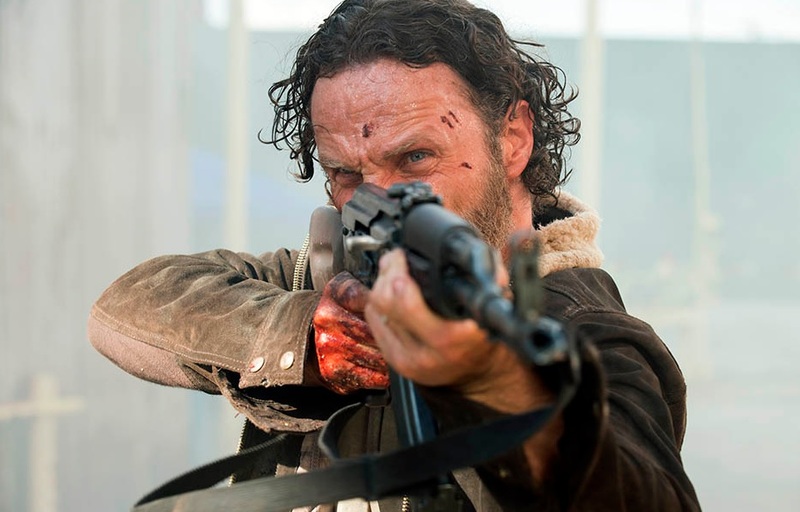 After all, a man or woman can’t live on zombies alone. You want to try other stuff, too. Some days, you feel like a zombie. Other days — like a delicate flower fairy. Which reminds me, where is our delicate flower fairy grid? The Coke-Pepsi wars prodded customers to choose a side. Are they with Pepsi, the choice of a new generation? Or do they prefer Coke, the real thing? I’m a Coke girl, myself. Specifically, Diet Coke. If I can see the label on the can, I can’t even drink Diet Pepsi it’s so foul. Of course, in a plain glass, I can’t taste the difference, so I know it’s all in my head. But that doesn’t mean that I would ever buy Pepsi. I have few other brand allegiances — I don’t care about ginger ale brands, for example, and happily buy the generic version. Pizza restaurants do this too. Two restaurants in the same town will declare war on one another, and run lots of ads and other marketing outreach trash talking the other guy, and watch both of their sales go up while the other guys lose sales. In real life, of course, they’re friends and masterminded the whole thing together. For this to work, though, the war never has to get so negative as to drive people away from pizza altogether. The ads have to proclaim each restaurant as better than the other one, instead of worse than the other one. Once a war like this goes negative, what happens is that customers will leave both restaurants in favor of the other guys in town. An ad like “our pizza is made with fresh ingredients!” will bring in customers. An ad like “they use stale vegetables and rotting meat” will drive customers away from the other one — without necessarily bringing them to yours. Especially if they retaliate by saying that your cooks spit on the food. If your negative marketing drives a grid out of business, or just annoys the owners enough that they give up and close up shop, then everybody suffers. First, their residents are going to hold a grudge against you for destroying their favorite grid, so they’re not going to come to you, anyway. Next, some of their customers are likely to leave OpenSim altogether. That hurts everybody. And would-be grid owners are less likely to come to OpenSim, seeing that there’s a negative climate waiting for them. That means fewer choices for everybody. Fewer things for OpenSim residents to do. Fewer places for them to visit. Less content for them to enjoy. Less reason for them to stay and to invite their friends over. I don’t have an Internet connection just to visit one website. I go online because there’s a lot of stuff that I want out there. For small, hypergrid-enabled grids in particular, taking down competitors is a lose-lose-lose proposition.